Alliance Francaise d'Ahmedabad, Off Shyamal-Manekbagh Road, Ahmedabad, India 380015. 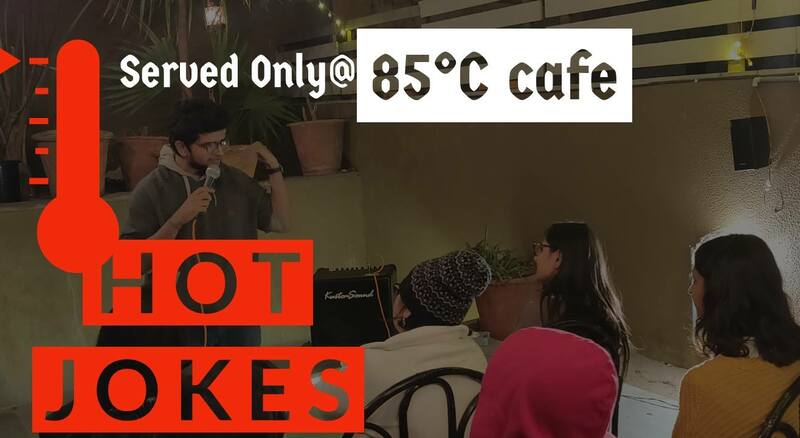 Hot Jokes is a series of standup comedy open mics organized at café 85°C every Monday. When we say hot jokes we mean they’re served fresh as this is a night where seasoned comedians are trying their new jokes. We do not guarantee big laughter but mild chuckles are guaranteed. Here comics will try to showcase their funny side. An open mic is a space where people who are funny and people who think they’re funny come together and try out their jokes or potential jokes. You either laugh at the joke or you laugh at someone who is failing miserably. So it is a win-win situation for you cause who doesn’t love seeing someone else fail. To perform send a mail to youcomedyclub@gmai.com with the event name and date.